Hope so! I'll be at the Artstamps Show Newbury Racecourse all weekend behind the Craft Stamper stand, doing some demos of our subs gift for you (and serving when we are busy - I'm a show staff virgin so be nice to me if I am stupidly slow and forget how the till works!!!). The gift I'll be demoing is a set of 6 Cosmic Shimmer Chalk Mists - I have been surprised how much you can do with them whilst prepping my samples! Plus as a special show exclusive you'll get an extra bonus gift worth £6.99 when you subscribe on the day. We'll have stock with us so you can take your gift away with you. And (because we are so nice) there is an alternative gift too in case you don't like getting inky (but be warned, I may still try to convert you to the mucky side!). Don't go just yet, because I also need to let you know we have a FREE GOODY BAG worth £20 for our first 10 customers each day spending £10 or more. So make CS stand your first port of call ;). Assistant Editor wanted - come and work for us! 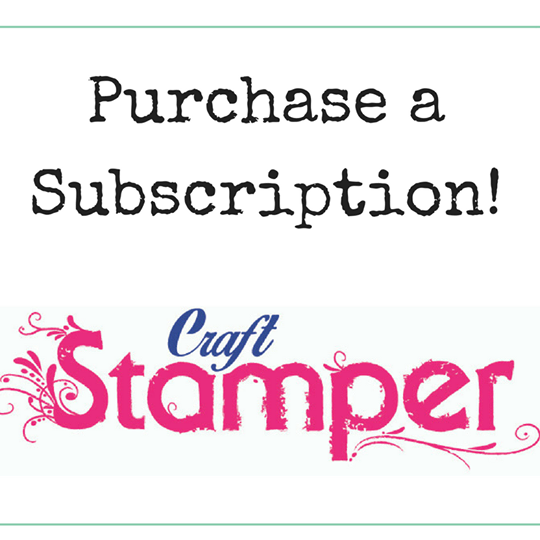 Traplet Publications is seeking an assistant editor to work on Craft Stamper magazine and any of our other papercraft-related publications. 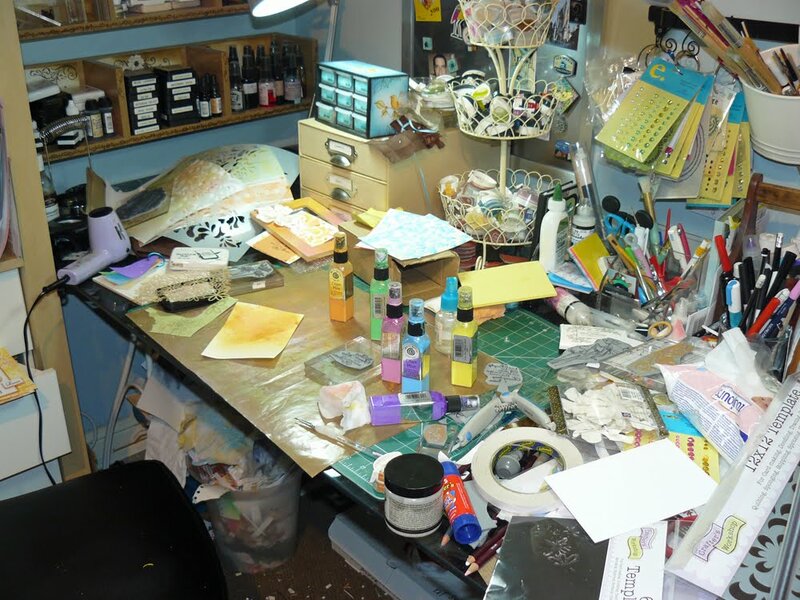 Applicants must be passionate about papercrafting and demonstrate sound knowledge of rubber stamping, as well as other papercraft disciplines such as cardmaking, scrapbooking and altered art. You should also have an excellent command of the English language, good attention to detail and be able to work under pressure and to deadlines. Ideally the appointed candidate will work full time (37 hours per week), based in our offices in Malvern, Worcestershire. However, for the right candidate we may consider a job-share (18.5 hours) appointment and/or some limited home-working provision. Please apply in writing, enclosing a CV and a covering letter stating your suitability for the post, to katy.fox@traplet.com or Craft Stamper Magazine, Traplet Publications, Traplet House, Pendragon Close, Malvern WR14 1GA. We are looking to appoint relatively quickly so please don't delay in sending your application to us! The room you saw in the Meet & Greet may not have been an accurate representation of the actual craft space. Helen Chilton was on to me when she said 'all you've done is piled the mess up just outside the photo' and she was right. Anyone else as messy as me??? Go on, fess up. We'd love to see! Just putting out a call for our Sept themed gallery feature as I have two spots remaining! 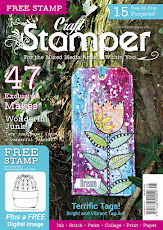 If you'd like to see your work in Craft Stamper then here is your chance! THEME: OH, THE PLACES YOU'LL GO (cityscapes - think Paris, London, NY, Venice etc). COLOURS: Warm cream with black and white. The call closes 13th June so get your skates on! Please email submissions to cs@traplet.com (NB: actual artwork will be required if you are selected). You can send images of existing creations which have been blogged (we'll ask you to temporarily take them down for publication) but please not anything you have done for a DT position.